‘Bread from Scratch’ is a reaction to the fact that many people don’t know where our food comes from anymore. Fast foods and other processed industrial foods determine our daily life’s. Affected by our food system and our eating behavior the knowledge of basic food production slowly disappears. Bread is one of our oldest foods and even today it is the most essential and universal food, equally eaten by rich and poor in most parts of the world; Bread has become the symbol of food. In this project the process of bread baking gets visualized and is used as a metaphor for food production in general in order to remind us how our most basic foods are made. 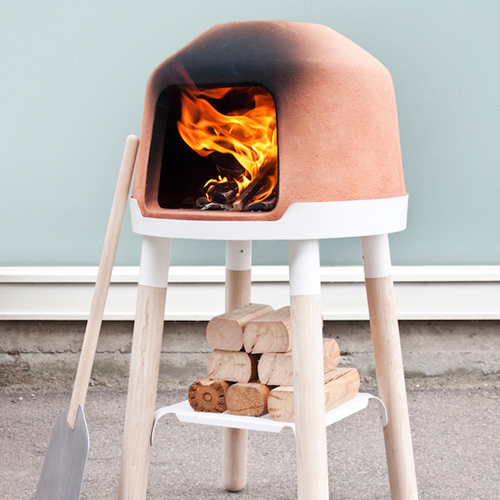 The outcome is a collection of objects that are needed to make bread from scratch. It consists of a mill to grind flour, a jar to cultivate a sourdough, a bowl to mix the ingredients, a board to knead the dough, a paddle to transfer the loaves and an oven to finally bake the bread.